One of my major annoyances while trying out Allo at release was the lack of quick replies from message notifications. As seen above, you could either respond with an automated response, or open the app to type a reply. 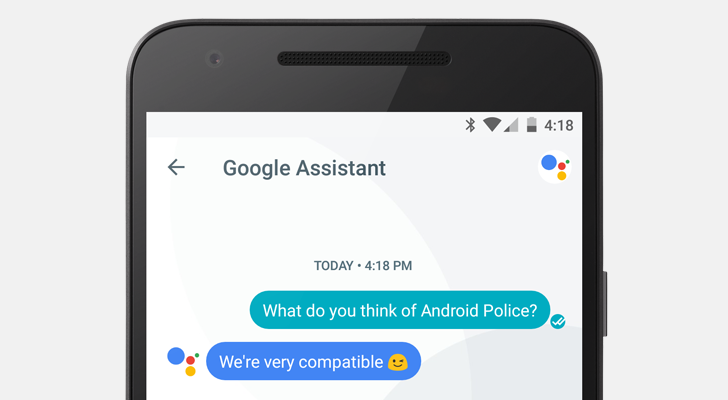 Now Allo has added a Reply button for replying directly in the notification, much like quick replies on Hangouts and Google Messenger. 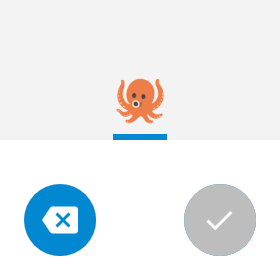 The sender's name and image are also now visible in the notification. 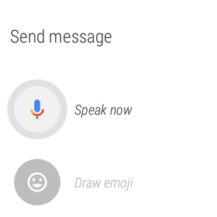 Again, much like Hangouts and Google Messenger, you can now reply with your voice or with emojis on Android Wear. Simply tap reply on the notification and either start speaking, or tap Draw Emoji. You can still reply with the automated responses too. 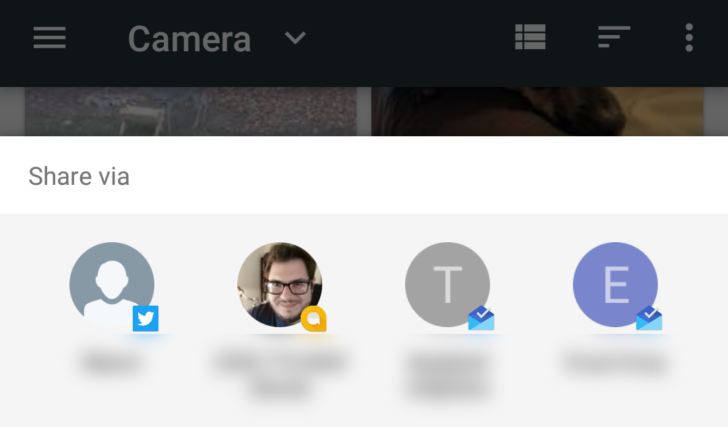 I like the concept of Direct Share, introduced with Android 6.0 Marshmallow. The idea is to share text and images directly to specific people, instead of sending it to an app and selecting the recipient there. Unfortunately, in practice it turns into a random collection of contacts. 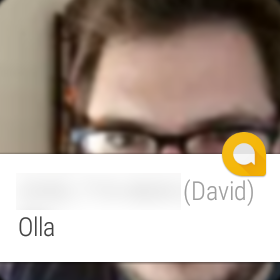 Regardless, your Allo contacts now appear in Direct Share, as seen above. 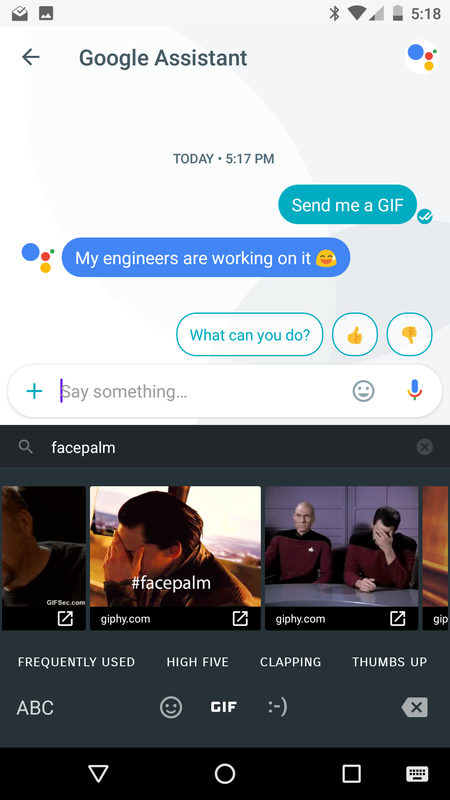 Allo now enables support for sending GIFs via keyboards that support the feature, on Android 7.1 and above. 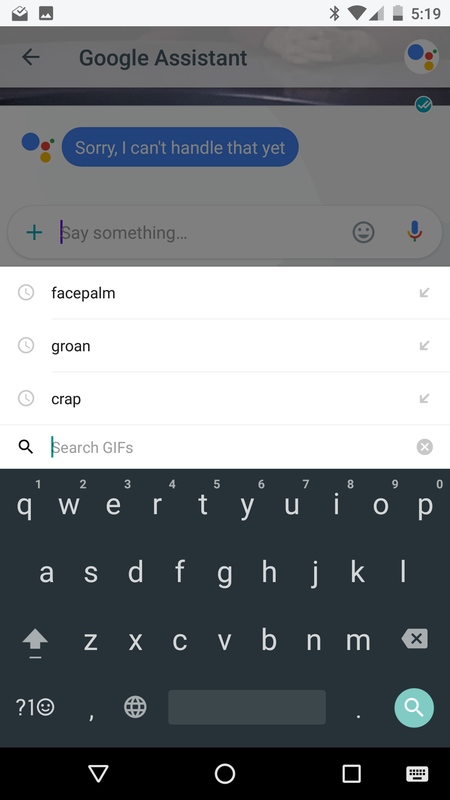 As shown above, sending GIFs with Google Keyboard is very simple and works as expected. 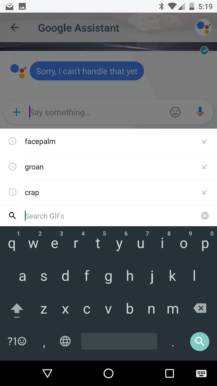 On an unrelated note, Google Assistant seems very confused about GIFs. Allo 2.0 has a number of minor new features worth mentioning. Firstly, Allo has a launcher shortcut for creating a new conversation, as seen above. There is also Incognito key alerts, a splash screen, official multi-window support, and landscape. 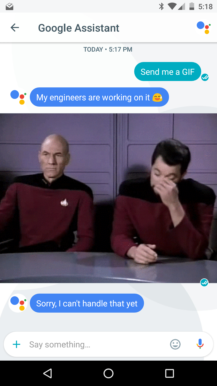 Finally, there's a new accessibility mode that turns the chat bubbles gray for easier reading. The update is already rolling out in the Play Store, but if you can't wait, you can download it from APKMirror as well.